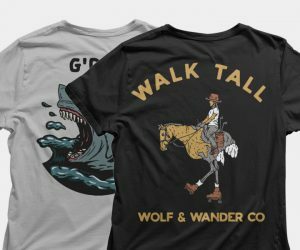 Promising to be a new favorite among the t-shirt collecting community, the wonderful folk at Wolf & Wander Tees are promising the regular release of new designs, thought up by creatives across the globe. There’s a certain outdoor slant to their 100% ring spun cotton offerings, often laced with humor–the skateboarding tiger is one of the best up for grabs now. 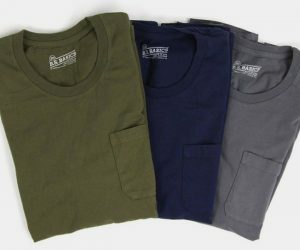 Pitched as the world’s most comfortable and best fitting tee, the Bensly Tee is crafted from eco-friendly Tencel fabric that proffers anti-microbial and wrinkle-resistant properties, while the handstitched back darts, smooth, tapered sleeves, and signature collar cut rib combine for a design that looks and feels stellar, with plenty of give for movement. Made, with love, in LA. 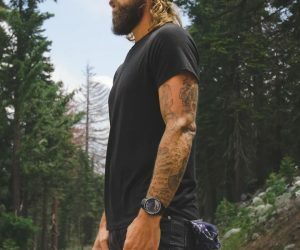 Clothing of the future for today’s active and style-conscious GearCulture guy, Pistol Lake Minimalist Performance Tops are available as short or long-sleeve tees–with or without buttons–or lightweight, understated hoodies, or Oxford shirts. 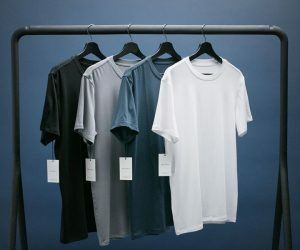 All garments are ethically handmade in L.A. using proprietary performance fabric called Eudae, responsibly made from sustainable materials which include Eucalyptus pulp and recycled bottles. Not only do we dig their collection, we like this clothing company a lot. 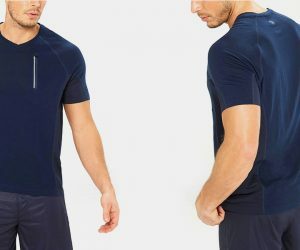 High-end, high-performance wear, the Kane Sustainable Air Flow Tee sports all manner of sports-friendly features. Incorporated into the “green”, breathable, moisture-wicking fabric are naturally occurring anti-bacterial fibers, sweat zone ventilation panels and all-round reflective accents. And just to prove they’ve really thought of everything, there’s a chest zip pocket to store a key and cards. 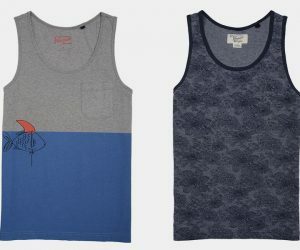 Available certainly in more colorful and varied offerings than their no-flying namesakes, the Penguin Tank provides style and sensibility under the scorching sun this summer. Crafted from cotton and polyester for some cooling comfort, the vintage slim sleeveless fit will look and feel just the part either on show or under your shirt.